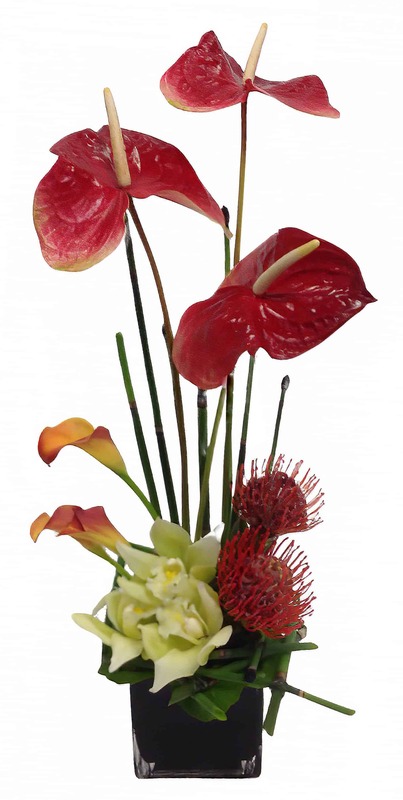 Tropical yet elegant this Ikebana-style arrangement is very versatile and beautiful. Featuring Anthuriums, Cymbidium Orchids, Pincushions, Horsetail and Orange Calla lilies in a decorative container it's a tropical peace. From the office to your home, this arrangement is sure to add some class and good chi!